Voting is now open for the Energy Apps for Ontario Challenge! Smart meters — know what they are? Some of us do. But the data they produce — have you ever seen it, interacted with it, had it dance around on a hand-held? Hmm. Neither have I! Surely, there’s a way to better engage consumers with smart meter data on household energy consumption. There is! 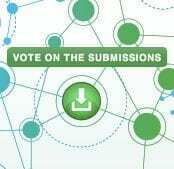 Starting today you can vote for the best app submitted to the Energy Apps for Ontario Challenge, which was organized by MaRS Discovery District and funded by the Ontario Ministry of Energy. Developers have built apps and submitted them, and now it’s up to both the public and a panel of expert judges (including me!) to choose the winners. The contest is part of the broader Green Button initiative, designed to get data out of those meters and, when sufficiently scrubbed of personal data, out into the market. What should emerge are killer apps that engage consumers in new ways. Yep. Actually engage consumers on energy use! Imagine that. Instead of a throw-away flyer in your monthly bill, you might find yourself choosing from all sorts of “gamefied” ways to interact with your energy consumption data. It might sound a bit un-utility-like. But engaging consumers is crucial – not just for energy conservation, but for basic energy literacy. After all, an engaged and energy-literate public means smarter political and corporate decisions about energy. This contest could be just the ticket for companies that have expertise and products that they can bring to market in other jurisdictions installing smart meters. To check out the apps entered in the challenge and vote for your favourite, visit energyappsontario.ca. Online voting continues until February 17 and will determine the winner of the People’s Choice award. Other awards include Gold, Silver, Bronze, Best Student App, and Best App Created Outside of Ontario. Winners will be announced in the coming weeks—a total of $50,000 will be awarded. Stay tuned and join the conversation on Twitter by using the hashtag #energyapps.